I don't understand the extreme nitpicking... I mean, I understand seeing several flaws, but this seems a little... extreme? Please don't attack me for that. .-. And Drago doesn't look black, at least not to me. He's not a Viking, that's obvious, but I don't think DreamWorks was intentionally making him look black because he's the villain, as some reviews were claiming. I think he's most likely from somewhere else in Europe. To your fist question I belive that people ned to nitpick on things. Not just act like verything is totally perfect. But to your second point yes. Even when Drago takes his metal arm off his skin is white. DW didn't make him black people. Pretty honest review, I agree with most of the points the writer makes. I'd probably give it an 9/10, or an 8.5, but at least this reviewer didn't bash the film like I've seen others do. And s/he makes some valid points. Ah! So very glad I found this thread. I will be only too happy to add to it. Overall, I felt betrayed. Yes, betrayed. By Dreamworks, and the entire team behind #2. To this day, I still can't believe I burned a perfectly good vacation day to go see it at opening. The film did have its good points. The dragon artwork and visuals were all stunning, particularly the 'dragon sanctuary.' Beautifully crafted! Story? Writing? Cinematography? Sorry. The all fell short in my eyes. I'll start with the pacing. If I had to pick one word to describe it, 'Frenetic' would be my first choice. It's critical, in any well-done movie, to let a given scene play out on its own. The 'Forbidden Friendship' sequence from the first movie is a perfect example. Just those few minutes, with simple actions and music and practically no dialogue, conveyed an entire sub-story in themselves (and a beautiful one at that). As a sharp contrast, let's take the scene in #2 where Valka is taking her first detailed look at Toothless and asks about his prosthetic tail fin. 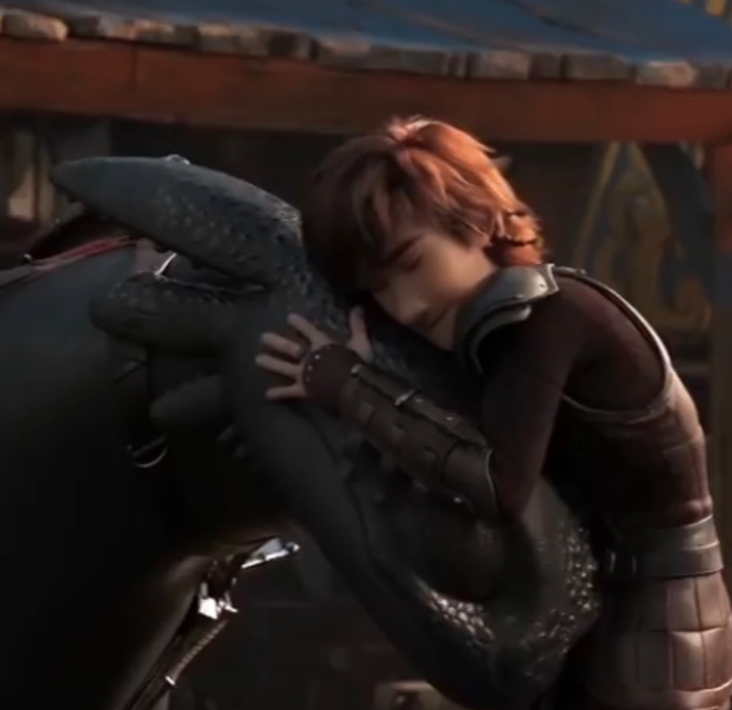 This was (and should have been) a perfect opportunity for Hiccup to tell her about the battle with the Red Death, and how it led to Toothless having to catch him by one leg to save his life. This is where the first signs of bad writing creep in. I've known people who have lost a limb. It is a MAJOR event, most definitely life-altering! It is NEVER something to be casually laughed off with a line as shockingly stupid as "He got me back. PEG LEG!" It would have been far more effective for Hiccup to show some real emotion; Perhaps recalling a memory of the battle, then glancing between Valka and Toothless and saying something like "He saved everything he could." STORY AND WRITING: There were good elements here, I admit. The song-and-dance scene with Valka and Stoic was beautifully done, as were the early scenes when Astrid and Hiccup were on that small island, chatting away, while Toothless and Stormfly played tug-of-war with most of a tree in the background. And the expression on Toothless, when he got goosed by another dragon during the visit to the sanctuary, was priceless. Great stuff! Unfortunately, it was not to last. As the movie progressed, I couldn't help thinking I'd seen better writing on 'fanfiction.net.' The dragons, in many cases, got reduced to the status of 'big scaly dogs with wings,' and the voice actors got short shrift.  Let's look at the reunion of Stoick and Valka, as one example of the latter. Is it just me, or did that whole thing go far too smoothly to be even remotely believable? Excuse me, but if my wife or another close family member was missing and presumed dead for twenty years, then just popped up again out of nowhere, my first reaction would be more along the lines of "Where the h*ll have you been all this time? Was there a single moment when you even thought of trying to contact me?!" There would have to have been SOME acrimony there. It's human nature! The producers had the right idea when they had Cate Blanchett, as Valka, start rambling about 'yell at me, wave your arms, do something,' but to have Stoick instantly forgive all on the spot? I'm sorry. It just doesn't wash out! On a related point: It's obvious Valka is a highly skilled dragon rider, and she has no shortage of winged friends willing to take her anywhere she wants to go. And you want your audience to believe that, in all this time, she never once thought of trying to visit Berk? The weak excuse of "I knew Stoick would never change" is just that: A weak excuse, and a cop-out for that matter. Anyone who claims to have lived among dragons for the last 20 years is going to have a lot more inner strength than that. They'd have to, in order to survive! Poorly written, poorly acted. Gerard Butler, Cate Blanchett and the audience all deserve better! Ahhh, the villain: Drago Bludvist. What a joke, and a bad one at that. I've stepped in sidewalk rain puddles which had more depth. We flash right back to bad writing here. Supposedly, Drago rules by fear. In order to do so effectively, you have to intimidate both allies and opponents. Sorry. It just doesn't wash. The White Alpha wasn't about to obey any puny human. Like, yes, respect, possibly. But mindless obedience? I don't think so! Even if it were possible, by some crazy stretch of the imagination, why would it take so many years for the threat of Drago and his 'army' to appear if controlling the Alpha means controlling all the other dragons? And why someone like Drago? If an Alpha could really be dominated that easily, any yahoo could have come along and done it. There were more major mistakes in one of the battle scenes, with the two Alphas fighting. The white one was, apparently, knocked over by the dark one, then gored to death. It's bad enough the white one was killed so early on. We barely got introduced. But ask yourself (and this ties into sound editing and effects): Where was the theater-shaking impact over the subwoofers when something that massive hit the ground? Where was the blood on the horns of the dark Alpha from the goring he gave the white one? And why did this enormous white carcass suddenly vanish utterly from the scene? Vaporized? Returned to the Force? Collected by aliens? You don't just slough off something that big without some kind of aftermath! It would have made for a much better scene to have Valka go see the white one as he lay, dying, and exchange some sort of ritual, gestures or something (especially as she'd been living with him for 20 years). Don't get me started on killing off Stoick's character. Yes, I can see it was necessary in order to move the story as a whole along, but it was done badly. It would have been much more effective to keep his character around for a while, and have him go down in a real battle. As an aside on this point: Perhaps the movie should have had a PG-13 rating. My wife and I counted at least four kids, three of whom had to be led out of the theater, who were rather traumatized because of Stoick's sudden demise. Then there's the whole 'mind over mind' thing, with the dark Alpha supposedly taking control of Toothless. Anybody with half a brain would get, in a heartbeat, that this was mind-to-mind contact. Yet, in the final battle scene, we're expected to believe blindfolding Toothless is going to stop that kind of mental barrage? It was just another contrived plot point. If such control is possible, why didn't the Red Death give it a go in the first movie, as was implied by Astrid's line "No, no, it makes perfect sense! It's like a beehive. They're the workers, and she's the queen. She controls them." Even if she did, how was Toothless able to resist the first time around? On a related topic: Toothless vs. the dark Alpha. OK -- I don't have any real objection to this new ability of his, as in able to blast out of being buried in ice (if nothing else, I finally figured out why Toothless's nostrils were drawn as glowing blue in one of the movie posters). I could even see him, with the aid of all the other dragons, driving off the dark one, as they very obviously did. But as for Toothless becoming the new Alpha? With the responsibility of feeding the entire flock by spewing fish into the air to make it look like it was raining food? AND having to protect every single one of those hundreds of new dragons? Even if it could, again, work by some wild leap of faith, how could Toothless possibly have the time to be both the Alpha for Essence only knows how many dragons AND Hiccup's companion at the same time? Given the obvious separation between Berk and the Alpha's sanctuary, it's not like Hiccup could just whistle for Toothless every time they want to go out for sushi. And another thing: How is Berk, which already looks like it has more than enough scalies to keep anyone happy, going to cope with this massive influx of hundreds, if not thousands, of new dragons? Those "All You Can Eat Feeding Stations" had better have one massive reservoir! IN SUMMMARY: I can understand, now, why 'Big Hero 6' (which I've also seen, and liked very much) beat out HTTYD2 at the Academy Awards. If #2 is an example of the kind of production 'quality' (or lack thereof) we can expect for the third movie, Dreamworks would do better to stop, now, before they screw up badly enough to bury themselves. About Drago controlling the Alpha... It's been speculated that Drago got him as an egg, and raised him to adulthood. That would make a lot more sense than controlling a huge dragon that was huge from the start. I think Dean Deblois confirmed it. And the whole "how can Toothless be an alpha and Hiccup's companion" thing is the whole plot-point in HTTYD3. b) How Hiccup pushed (the clearly apologetic) Toothless away. I mean, I get it, he was obviously angry and grieving the loss of his father and all, but still! It just makes me mad. Oh well, I guess they made up for it in the end, with Toothless challenging the Alpha to protect Hiccup. I replied to this like four years ago, but half the time I'd like to pretend my old posts don't exist because they're embarassing so here's a new reply. I've always felt that HTTYD 2 is all just a bit rushed? I think people have mentioned this before, but there are pacing issues. Things just feel like they move slightly too fast, mostly in the second half of the film in my opinion. The worst of these moments is the transition from Stoick's funeral to that weird in between scene of them riding the baby dragons? It just feels like too much of a joke after what just happened. I know they're trying to lighten the mood so angry parents don't leave the theater, but it's still just awkward. That's always been my only issue with the film as a whole, and there are a lot of points where I think more time would've been beneficial.